At first glance, a wild animal’s appearance may seem simple. But there is fascinating science behind every part of an animal’s physique—from its nose to its toes! 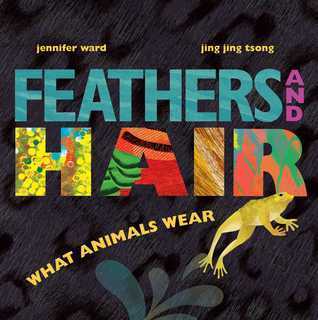 Author Jennifer Ward explores different kinds of fur, feathers, skin, and scales in this nonfiction picture book. In this absolutely gorgeous book, the reader learns about different coverings that animals wear. The book starts with a beautiful feathered bird (I wish they mentioned what kind it was) and travels through hair, spines, armor, shell, horns, slippery skin, scales, thick, wrinkly skin, and fur. The book also points out the use of colored versus plain coverings. The additional information at the end explains more about the different types of animals and their coverings. It would have been nice to know the specific kind of bird and monkey were depicted. The words are great and read out loud very well, but what shines through the most for me are the beautiful illustrations. This would be a fine book to use to introduce animals and their various coverings to young children. The savanna is not an easy place to live, even for African elephants, the largest land animals on earth. If it's a challenge for these 7,000-pound giants, what's it like for their newborn babies? An infant elephant has precious little time to learn the incredible array of skills that are necessary to keep up, from projecting her voice across a 10-octave range to using the 100,000 muscles in her trunk to stay hydrated. But this giant-to-be has the perfect classroom--a family herd made up of her mother, sisters, cousins, and aunts. With their help and protection, she'll learn how to survive, how to thrive, and how to be an elephant. Award-winning author-illustrator Katherine Roy's How to Be an Elephant delves into the intricate family dynamics at play in a typical African herd. 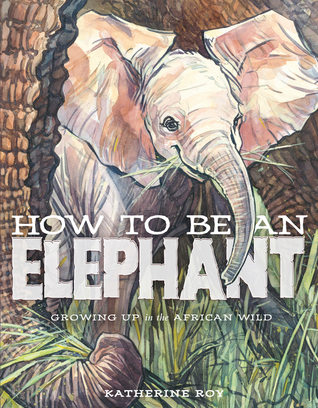 Drawing upon the latest scientific research and Roy's own expedition to Kenya, and brimming with lush watercolor illustrations and detailed diagrams, this book vividly portrays the life and development of an elephant from an uncertain newborn into a majestic adult. As informative as it is beautiful, Roy's unique portrait of an elephant's life will captivate young explorers and animal lovers alike. Just like in Neighborhood Shark, Katherine Roy has created another informative, gorgeous book. I've become a serious fan of hers. It's clear that tremendous effort goes into creating a book like this. Not only are the illustrations amazing, they are also accurate. And the information included matches the title exactly, which I appreciate. The author walks the reader through the things that a baby elephant needs to learn from her herd before she becomes an adult. 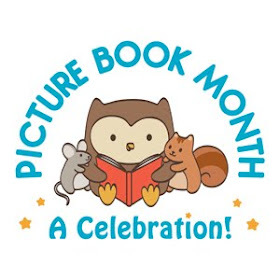 Topics include the importance of family, learning to walk, developing a memory for smells, learning how to use her trunk, and the power of sound in communication. The book also contains information on how elephants eat and digest, and survive in their harsh habitats. The author also show though the joy that elephants sometimes experience with each other. My favorite illustrations shows the calf's herd playing in the water, they almost seem to be smiling. Katherine Roy has created another winner with this book.